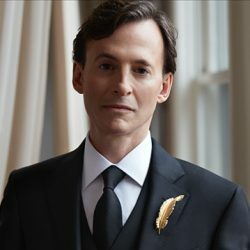 Bruce Levingston is a concert pianist and one of today’s leading figures in contemporary classical music. Many of the world’s most important composers have written music for him, and his Carnegie Hall and Lincoln Center performances of their works have won notable critical acclaim. The New York Times has praised his “mastery of color and nuance” and called him one of “today’s most adventurous musicians.” The New Yorker has called him “a force for new music” and “a poetic pianist with a gift for inventive –and glamorous – programming.” Levingston’s recordings have also been highly acclaimed. His album Heavy Sleep was named one of the Best Classical Recordings of 2015 by The New York Times and Still Sound was named Record-of-the-Month by MusicWeb International which called his playing “sublime.” Levingston has appeared in concerts and music festivals throughout the world. Noted for his creative programming, he has collaborated with some of the most gifted artists of our time. Levingston is founder of Premiere Commission, a non-profit foundation that has commissioned and premiered over fifty new works. He serves as the Chancellor’s Honors College Artist in Residence and holder of the Lester Glenn Fant Chair at the University of Mississippi.